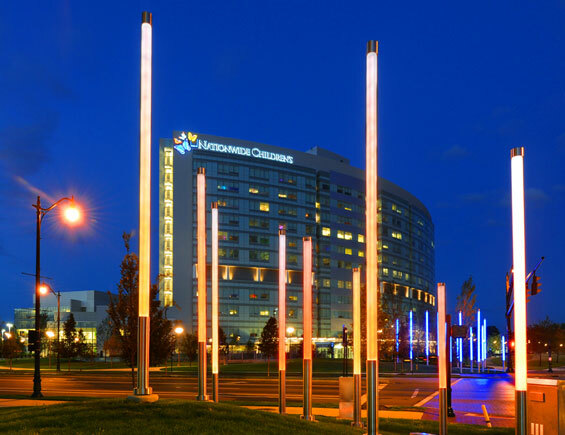 Nationwide Children’s Hospital in Columbus, Ohio is envisioned as a ‘Landscape of Healing’. 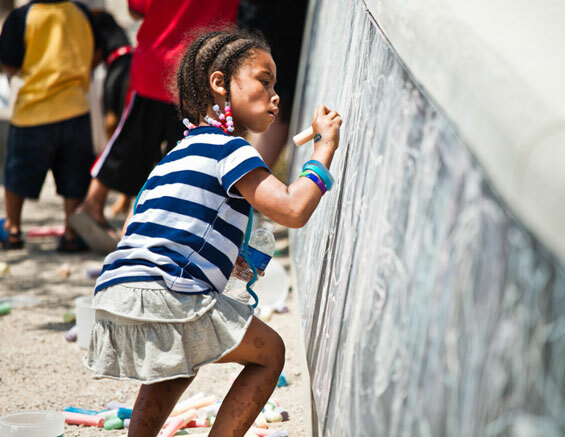 The project expands the principles of therapeutic gardens to the entire health care campus and neighboring community. 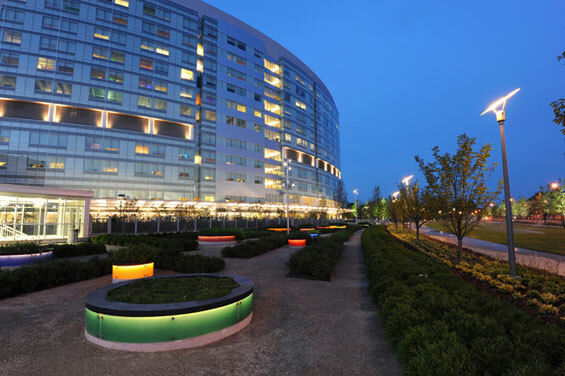 The MKSK/OLIN team worked closely with the hospital architects, FKP, to integrate holistically the tower with the landscape. 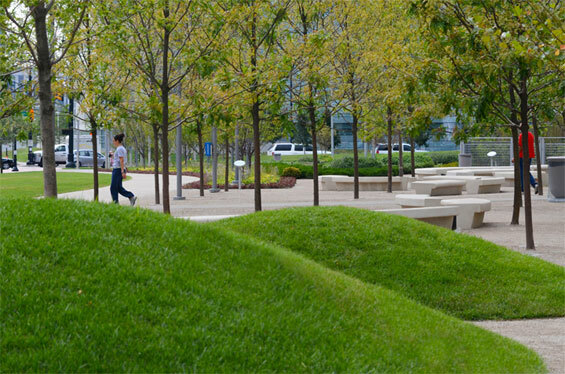 Green infrastructure practices were incorporated into the landscape including and an approximate 2.5-acre increase of permeable surface throughout the campus. A subsurface 1-million gallon cistern captures all the building and site rainwater runoff for stormwater control, collection, storage and irrigation re-use within the site park. 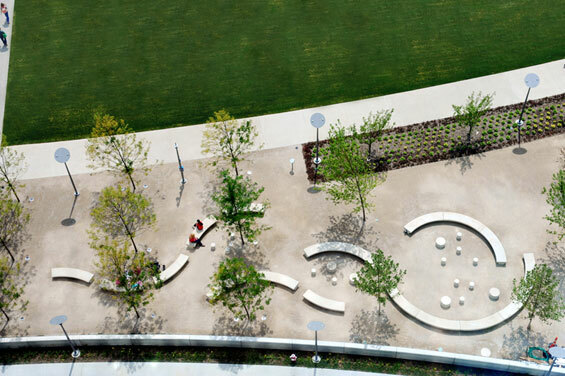 The entire 2 acre healing garden is an intensive green roof over a 420-car subsurface parking garage. The MKSK/OLIN team worked with the parking consultant to verify loads and soil depths (as much as 3’-0”) of engineered soils to support extensive garden plantings and shade trees, including the Honeylocust entry bosque and the Kwanzan Cherry promenade. The district’s primary corridors, Livingston and Parsons Avenues, were transformed into grand, canopied, civic boulevards of London Planetree, Sawtooth Oaks, and Triumph Elms. The avenues have also been re-graded to better integrate utility corridors and introduce bio-filtration rain gardens, which help absorb and filter street and sidewalk stormwater runoff. 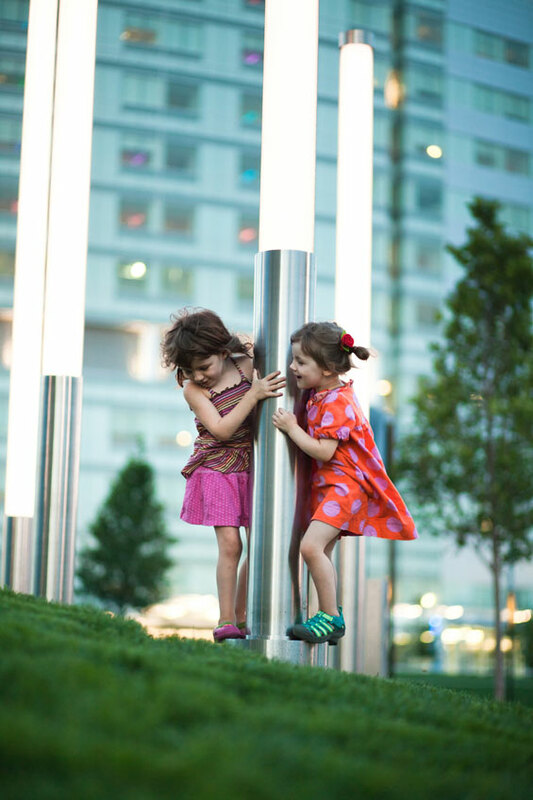 At the Parsons and Livingston intersection a luminous ‘Grove of Light,’ consisting of a series of illuminated vertical masts, defines the entry into the hospital campus. Additionally, district landmarks are located at the five key thresholds into campus. These elements are oriented with the urban street grid, are scaled to relate to both vehicles and pedestrians, and are grounded by a grove of birch trees and native tall grasses. 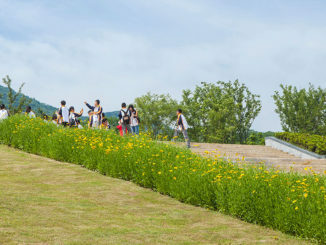 The design team created continuity between interior and exterior spaces to provide an enhanced visual and physical connection to natural materials and flora. This relationship between interior and exterior is fully realized in the dining courtyard, which connects the hospital tower to the landscape. The dining courtyard is a tranquil area under a dappled canopy of Locust trees and vertical plantings of Virginia Creeper vine, which creates a feeling of woodland surround. The bluestone paved courtyard is bordered by grooved walls, which are reminiscent of the regional limestone strata. Structural Engineer | Jezerinac Geers & Associates, Inc. 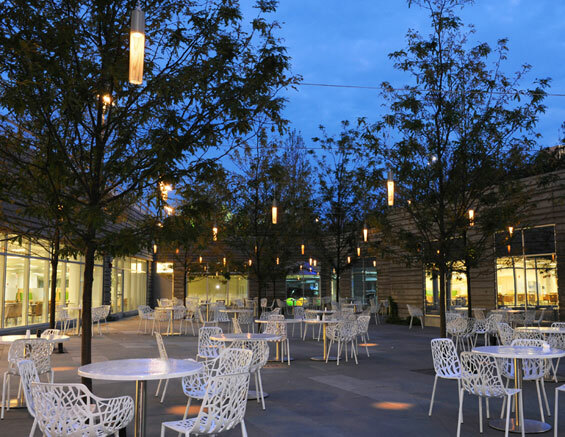 Lighting Design | Horton Lees Brogden Lighting Design, Inc.
Irrigation Consultant | Irrigation Consulting, Inc.